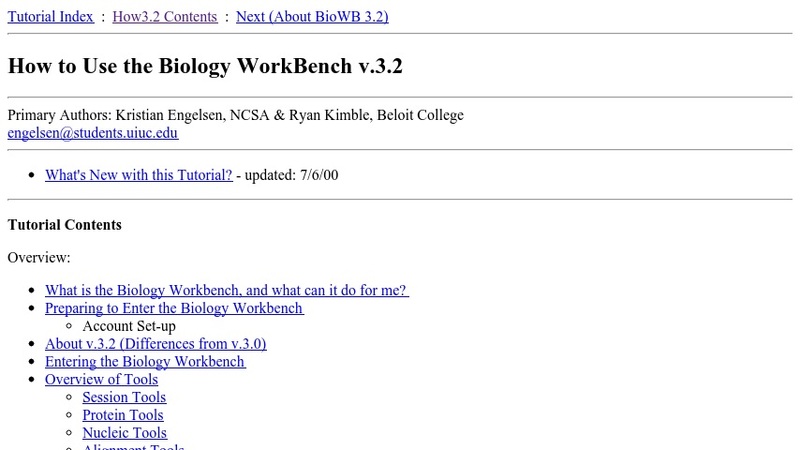 This tutorial acquaints users with The Biology Workbench, a computational interface and environment that permits anyone with a Web browser to readily use bioinformatics, for research, teaching, or learning. The goal of Biology Workbench is to promote the use of molecular data in the identification and exploration of biological problems with an evolutionary perspective throughout undergraduate biology curricula. The tutorial includes an overview of Biology Workbench and information about constructing queries and importing sequences.